J’ai tué ma mère (2009) | We Can't Hear the Mime! 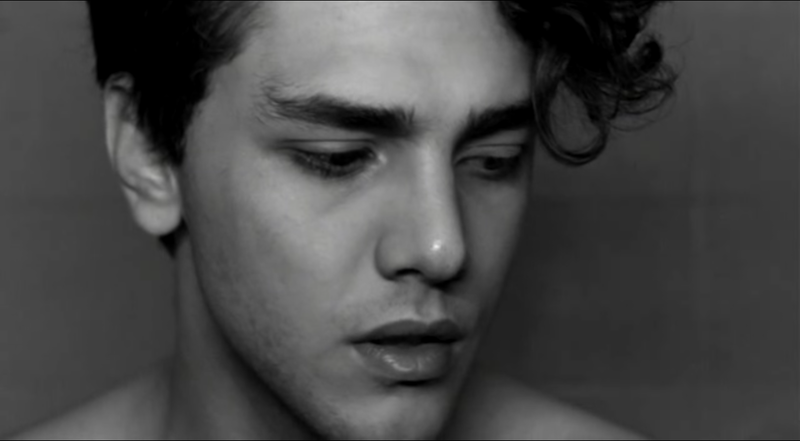 Continuing the rough course through cinema of “watching whatever is recommended to me” I recently came across Xavier Dolan, whose films I will now proceed to watch (and review) in order of their release. That means starting off with with J’ai tué ma mere. The film certainly bears the hallmarks of a first film, or maybe just a young film. There’s a flamboyant and ostentatious rebellion that oozes through the length of the film and needs reigning in in places. Certainly there’s a concern for style over substance that can become annoying. For example, the cinematographic trick of alienating the characters from each other in off-centre close ups is certainly intelligent and works very well, except when the off-centre framing is literally cutting off a character’s nose and forcing them to box their performance into a tiny and unnatural space. Yet the film can be forgiven stylistic foibles through the force of emotion and honesty that propels it. It is definitely not the structure of the screenplay that guides us as viewers. The events lurch between people and locations that seem disparate and haphazard. Plotlines seem to be forgotten then woven back in at ironically unexpected moments. In this way it’s a lot more like real life than any constructed narrative. All the characters genuinely have other lives and motives that don’t just serve Dolan’s story. At the heart of it all is the universally difficult moment when a child breaks out from under their mother’s wing. Peppering the film are moments of a monologue, shown to be shot on a DV camera but then shown to us in HD black and white – directorial conceit ran wild there. In this monologue Hubert (Dolan) outlines his true feelings for his mother, a kind of confused and forced love that inescapable and inherent. It’s not so much his mother that is controlling him or that he is trying to break away from, it’s much more his love for her that he resents. He searches for a female guide, idolising his boyfriend’s mother and even his teacher before coming round to accepting what he already has and loves, even if he doesn’t like her. Both Dolan’s performance and Anne Dorval’s as the mother hold up to scrutiny, and it’s a testament to a screenwriting talent to be able to render both mother and son with sensitivity and depth. It would have been very easy for Dolan, who is essentially acting his own teenage crisis on screen to just paint the mother as the demon he attacks in the choppy arguments littered through the film. Yet the mother is very much her own person, and not even a bad person. She loves her son; she’s just not compatible with him and it’s hurting them both just as badly. In the end the whole film feels a little like a confessional – that fittingly ends at the “Our Lady of Sorrows” boarding school. It’s as if Dolan found himself at the crossroads of adulthood with all the questions that raises about life, sexuality, identity, art and even religion. While in the film Hubert comes to some peace through a mixture of quiet realisations and drug-filled confessions before accepting and inviting his mother into his life and his kingdom, in real life Xavier Dolan made this film. Part diatribe, part apology but full of cinematic and personal freedom. This entry was posted in Film Reviews, Personal Screen and tagged 2009, Anne Dorval, Canadian Cinema, I killed my mother, J'ai tué ma mère, Xavier Dolan on July 2, 2015 by Flo.